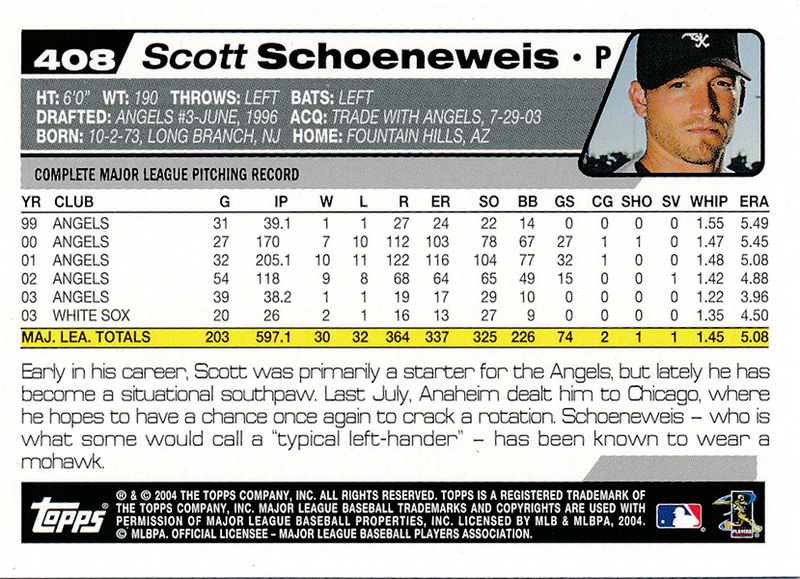 Schoeneweis began his big league career as a starter, but ultimately assumed the role as a lefty reliever during the bulk of his 12-year career. He started 59 games for the Angels in 2000-2001, sporting a 17-21 mark. Managers then decided he was more valuable in the bullpen. He earned a World Series ring with the Angels in 2002, and pitched the last two innings of their 10-4 victory in Game 3. 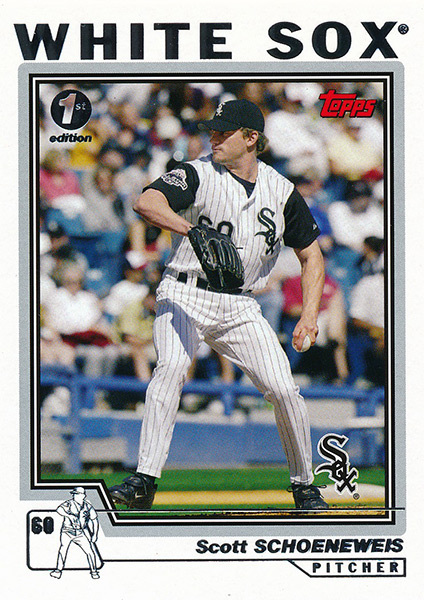 In the five seasons from 2003 to 2007, Schoeneweis allowed only one homer to left-handed batters. Left-handed hitters batted only .209, in 227 plate appearances against him from 2005 to 2006, and then only .207 in 2007. In 2008, he was even tougher, holding lefties batted only .178, the second best among lefties that year. Yet at the height of his career, Schoeneweis suffered a terrible tragedy when his wife Gabrielle died suddenly in May, 2009. That effectively ended his career, as Schoeneweis retired after the 2010 season to raise his three children.